Month: June 2016 | Sanctuary Counseling, LLC. If there’s one shared experience worth talking about, there’s no better example than dreams. They inspire us creatively, they follow us as we age, they warn us when something is wrong. They inspire our creative language and are, arguably, our first introspective otherworldly experience. It’s worth talking about! We can’t really talk about dreams without talking about REM sleep. 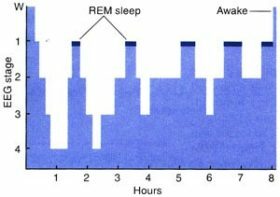 REM stands for “Rapid Eye Movement sleep”. When we go to bed, there are four depths of sleep that we travel between throughout the night. The stage that is just beneath being awake is called REM sleep. If you were to look at someone who is asleep and notice that their eyes are moving around underneath their eyelids, that is REM Sleep. During this period of the night, people’s muscles are functionally paralyzed, and the blood flow to the brain and our oxygen consumption are accelerated (This sounds scary but it’s very very normal.) If you were to wake someone during REM sleep, they would tell you that they were dreaming. 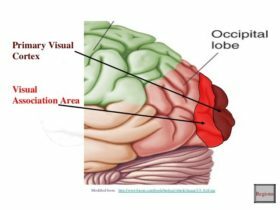 While there’s high blood flow in the brain, it tends to be higher in the visual association cortex, but lower in the primary visual cortex and prefrontal cortex. Assuming that the blood flow changes and activity changes are related, this explains the general experience of a dream state: Your eyes are closed, there’s nothing to see directly, but you have a visually active experience while asleep, possibly based entirely on associative meaning of the visual world. 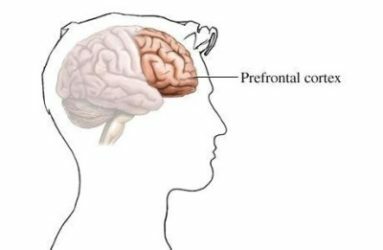 The prefrontal cortex is related to planning and time keeping. All of this sleep is exciting since it’s when are dreams happening, but to really talk about what dreams can be we have to talk about what happens when you aren’t dreaming. See you next blog!